Sell Your House in Loma Linda Fast for Cash! We Buy Loma Linda Houses Fast for Cash at Any Price. Here’s How our Process Works. Contact us Today for a Fair All Cash Offer for Your Loma Linda Home. Selling your San Bernardino county home fast is a difficult and never a fun process, and it’s even less fun when special circumstances affect the speed at which you need to sell. So Cal Home Buyers is here to help all homeowners, regardless of the state of their property or their personal situation. 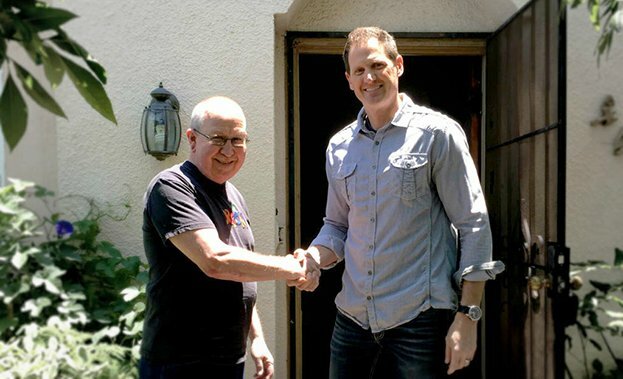 We’re a family owned real estate investment company with over a decade of experience helping homeowners just like you in Loma Linda and the greater San Bernardino county area. We’re here whenever you need our help, and we’re prepared to go the extra mile for you. 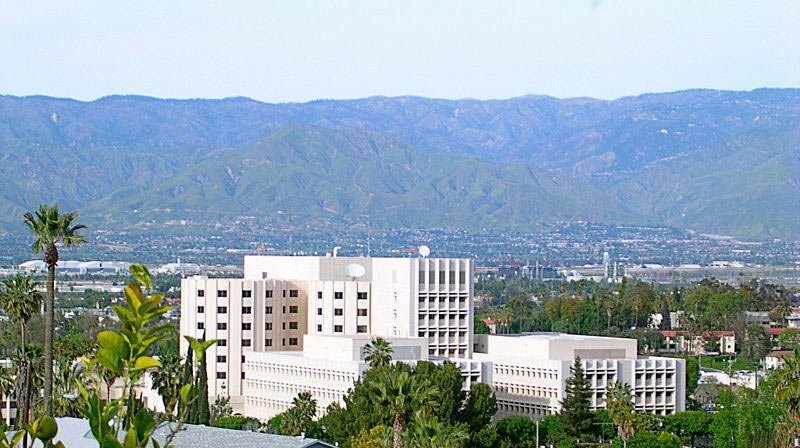 Loma Linda’s market isn’t always predictable, but things aren’t rough. The market’s value recovery has been successful, and it’s starting to taper off. 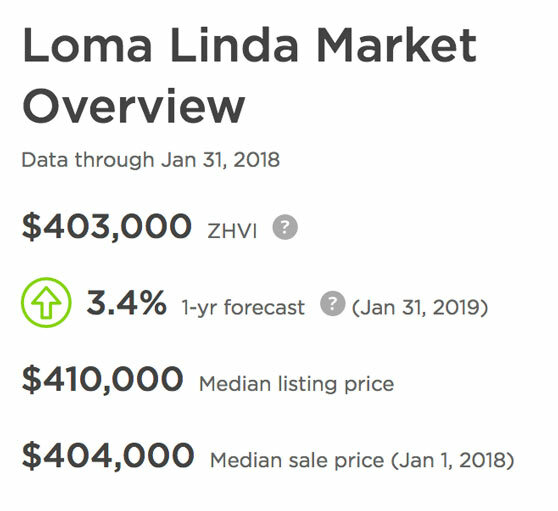 The average Loma Linda home is valued just around $400,000. Growth has slowed down significantly, but things are still going well with an expected 3.4% rise by Jan 31, 2019. This has created a market that’s on the healthier side of stable, although it’s in a neutral position. 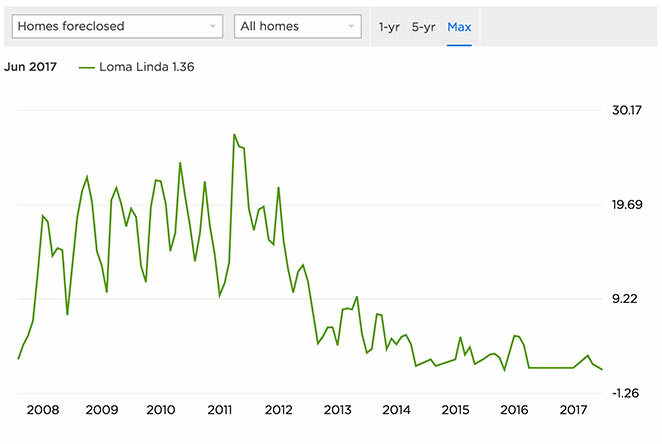 Neither buyers nor sellers have the advantage in Loma Linda. As far as foreclosures go, the rates are a little higher in Loma Linda. 1.4 homes in every 10,000 will enter foreclosure. This is greater than the national average, though not as severe as the foreclosure rates in some of the surrounding areas. 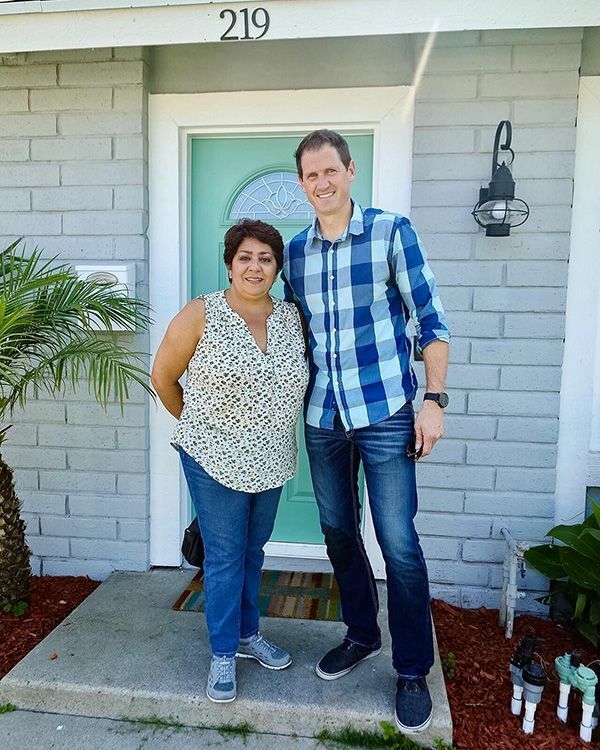 Foreclosure doesn’t have to be the worst thing to happen to a Loma Linda homeowner. You can sell your home facing foreclosure up to the day of the foreclosure auction, and some lenders may be willing to grant you a short sale in order to bypass the auction process completely. How Can So Cal Home Buyers Help You Sell your Loma Linda Home? Our offices are in Murrieta, CA. If you’re coming from Loma Linda, we’re only 43 minutes away down I-215 South. We will always travel to you, no matter where you are in Southern California. We know that many property owners don’t feel comfortable selling their house over the phone to an investor located thousand miles away. We love our community, and we’re proud to be a part of it. We stayed close to our roots, and we’re always easily accessible to you. If you are looking for a quick sale and don’t want to be bothered by repairs, we are looking to buy your property as-is. Unlike traditional home buyers, we are not concerned with the aesthetics of your property. We are investors, and we look for the potential of a property instead of how presentable it is. It doesn’t matter if part of your home is burned down. We were already planning to work on your house, and we’ve figured all of these costs into our own budget. You won’t see a bill, and we’ll wait until after you move out to send in the work crew. 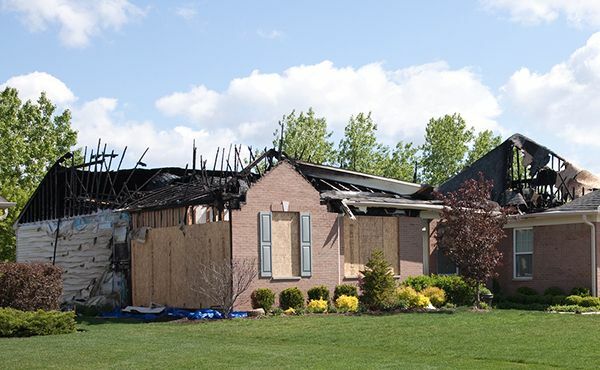 If the circumstances surrounding your home are unusual, a realtor may not be able to help you. If you can find a realtor who will work with you, there’s no telling how long that process may take. It isn’t unusual for properties to be listed multiple times before a buyer is found. Your real estate agent may advise you to spend money fixing up your property, on top of slashing your asking price. At the end, you’re still going to have to pay that real estate agent’s commission. If you need to sell fast and you’re not working with a large budget, a realtor probably isn’t the right choice for you. We aim to provide homeowners with all of the options and resources that a realtor can’t. We’re not listing your home – we’re buying it directly from you. You take your money, and move on with your life. It’s that simple. Unlike other buyers, we do not care what your reasons are for wanting to move. Bad area, bad schools, rising taxes? It makes no difference to us. There’s a buyer for every home, and for now, that buyer is us. We’ll buy the house, and we’ll worry about finding someone to live in it. If you need to move to avoid foreclosure or recover from a financial hardship, we offer one of the fastest ways to get back on your feet. We can help reduce the damage to your credit rating in the process. 4. We Can Move Lightning Fast! We don’t need to wait around for loan approval. When we make you an offer, that’s money we have in the bank. It doesn’t take very long for us to turn the money in our bank into cash in your hands. This is a direct sale, and we don’t expect you to modify your property or meet our standards before we close the deal. Because of this, we can close on your home in 7 days. If you’re in an urgent situation, we can move faster. If you’re still getting your affairs in order, we can slow down. We’re willing to work on your terms. What Makes Our Home Buying Process Different? Southern California Home Buyers is very proud to have created a process that’s far simpler than any other sale process at a homeowners’ disposal. We do all of the repairs ourselves, we’ll buy any kind of property in any condition, and we can close faster than anyone else. We care about the people we serve, and we strive to remove the stress from the sale of their homes. We’re thankful for the hundreds of homeowners who have chosen to work with us, and we’re appreciative of the wonderful testimonials they’ve given about our service. 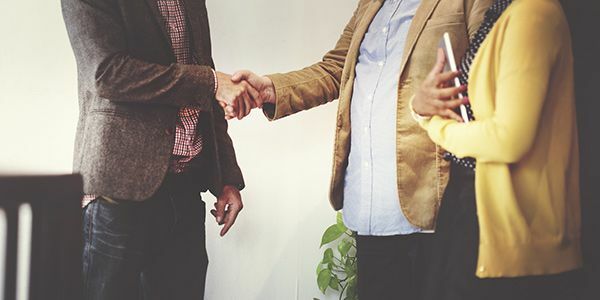 We put people first, and we believe everyone should walk away from the deal feeling great. If you are ready to get started, just fill out the form on this page. Within 24 hours, we will review your property and prepare you a fair cash offer. You can also call us directly at 951-331-3844 if you’d like to speak to us today. As soon as you accept our offer, you’ve taken the first step in our simplified process. You’ll be on the right track, and you can move on to the next chapter of your life.